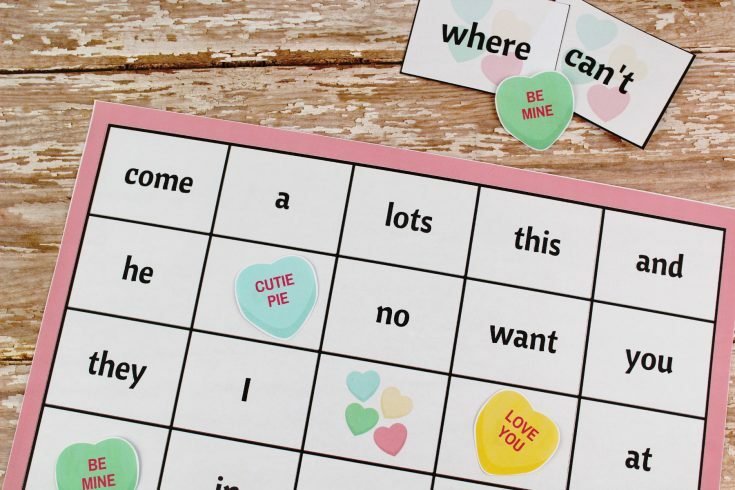 Whether you are a teacher, daycare provider, or a parent, holidays are a great time to incorporate learning and this Valentine’s Day Sight Word Bingo is the perfect way! Kids get excited to celebrate special holidays and using that excitement to sneak in some learning is key. Many years ago, nine to be exact, I used to work in a private daycare. We always came up with fun learning activities for the kids surrounding holidays. Over my years of parenting, I have also incorporated learning activities with holidays for my children. While my older two daughters attended daycare, Bella stayed home with me prior to starting school. 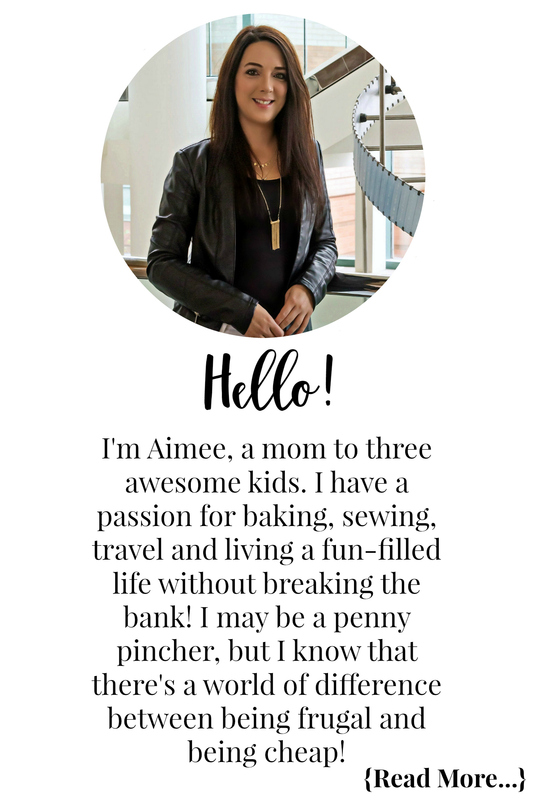 I have an abundance of learning activities I created for her on my computer, and today I wanted to share one of her favourites! 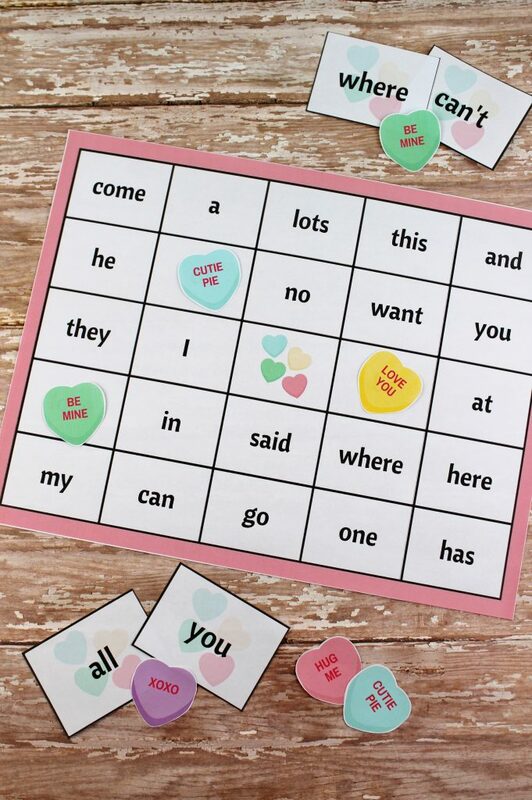 I am currently printing and laminating a set of this Valentine’s Day Sight Word Bingo to send in for Bella’s class to play on Valentine’s Day. You can download the package below, print, and then laminate for your home, class, or child’s class too! There is also a printable version of the instructions on making and playing the game below for you. Also, print the Bingo Markers, you will need one sheet of markers per bingo card. Carefully cut the bingo cards, flashcards and bingo markers. Laminate the items for prolonged use. Use the flashcards as a “call sheet.” Place each power word into a bowl, hat etc. Give each child a bingo sheet and bingo markers. Each card should be different. Allow each child to use a bingo marker to mark their free space. The caller should pull out one power word flash card and describe it to the children. 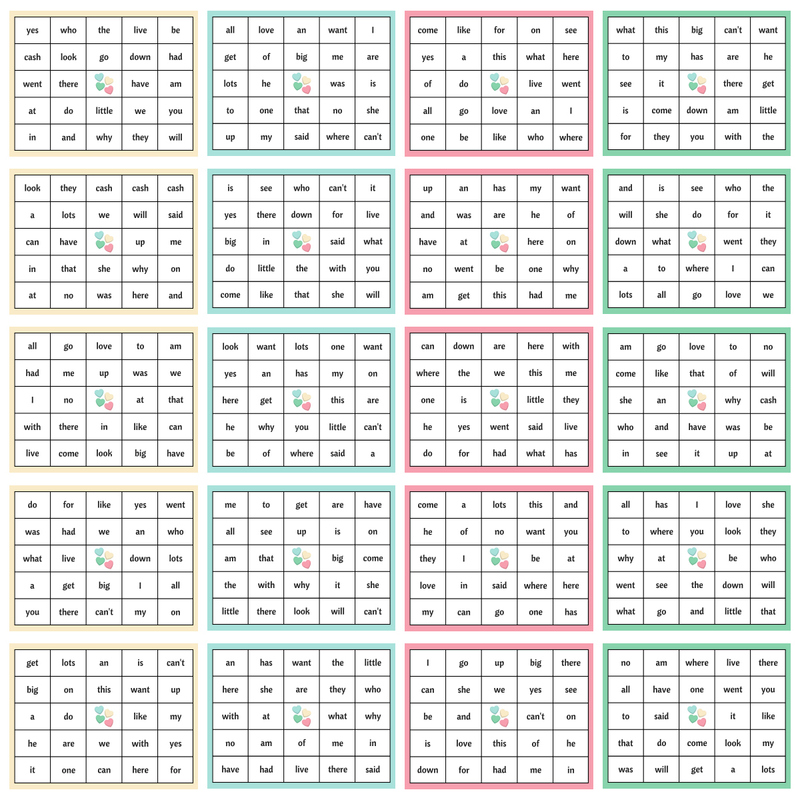 The first child to make a horizontal, diagonal or vertical row gets the BINGO! Play for small favours or candy treats. 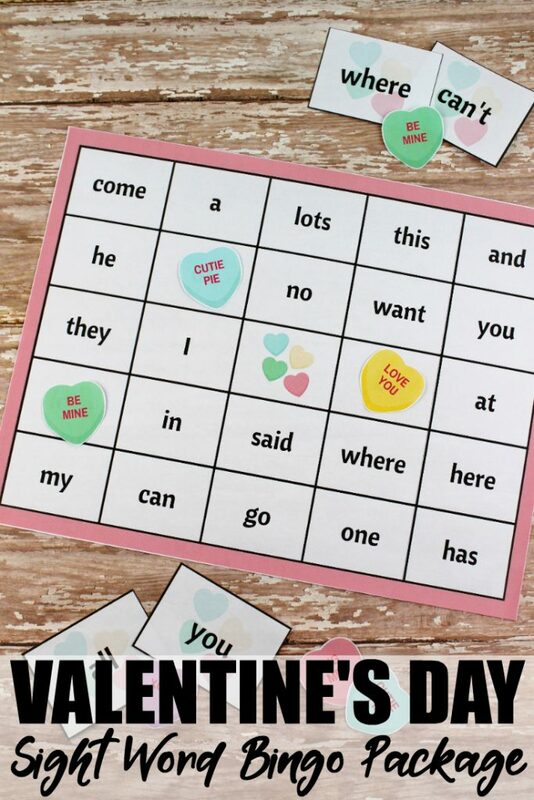 The Valentine’s Day Sight Word Bingo package has 20 unique bingo cards. It also comes with 60 power words. These are what you will pull and call out for the kids to match! 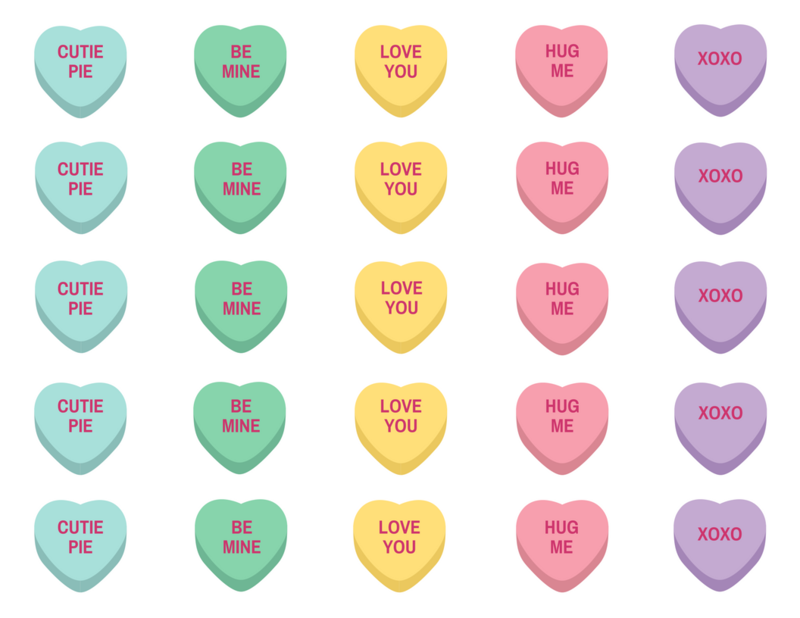 Last but not least, a sheet of cute conversation hearts to use as the markers. 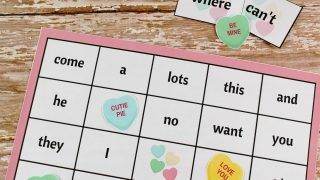 You will need to print off one sheet of conversation hearts per bingo sheet. Whether you’re a teacher, daycare provider, or parent, incorporate learning on Valentine’s Day with this Valentine’s Day themed Sight Word Bingo printable! 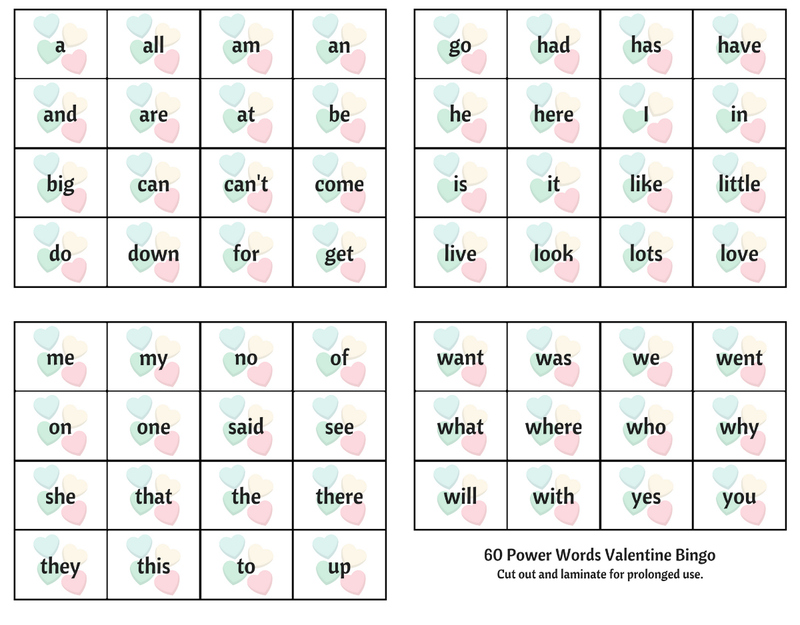 Print the Bingo Cards, Flashcards and Bingo Markers. Use scissors or a paper cutter to carefully cut the bingo cards, flashcards and bingo markers. Laminating your bingo sheets, sight words, and markers will make this durable for continued use. Want more Valentine’s Day fun? Check out my Wild About You and Lucky Duck Printable Valentine’s Day Cards, as well as a Butterfly Valentine’s Day Treat Bag DIY and Sweetheart Rice Krispies Treats too!